Paris Saint-Germain will take a 2-1 lead into the second leg of their Champions League knockout round tie with Chelsea. Goals from Zlatan Ibrahimovic and Edinson Cavani came on either side of a John Obi Mikel equalizer at the Parc des Princes, after an impressively proactive display from the French outfit. However, Chelsea's away goal ensures that though it's the Parisians with the advantage at the halfway point, this tie is still far from over. Chelsea are still firmly in their tie against PSG following their 2-1 defeat in Paris and their away goal could prove to be priceless for Guus Hiddink. Despite losing, Hiddink’s side showed spirit, doggedness and simple organisation without the ball, qualities that appeared to have vanished during the desperate final days of Jose Mourinho’s reign. Hiddink has done an excellent job in rebuilding Chelsea's shattered confidence and his influence is the reason for their improving form. Many believe the Dutchman should be in the mix for the permanent position, but it seems former Juventus manager Antonio Conte is the man Roman Abramovich wants. The Blues come off a hard-fought 2-1 victory at in-form Southampton. Now, they’ll need their best performance of the season in the second leg to keep alive their hopes of an unlikely tilt at the Champions League. At home, if they can start with intensity they can trouble this PSG team and with John Terry and Nemanja Matic back they’ll be a stronger side than the team that went out in Paris. Powerful emotions are found in Chelsea’s Champions League history. They need to summon up the spirit of 2012. No one gave them a chance four years ago when they beat Barcelona in the semi-finals and Bayern Munich in the final, on penalties, as they were crowned champions of Europe. That is the Chelsea way, never yielding, always believing. 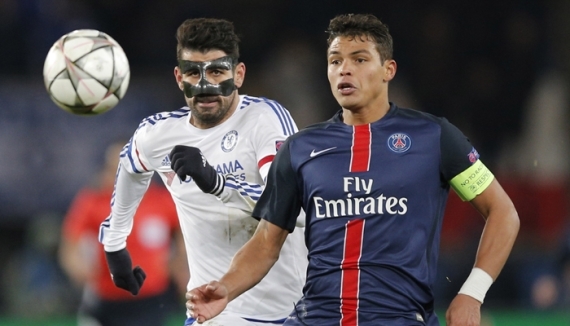 A 1-0 victory will see Chelsea progress to the quarter-finals, but stopping PSG from scoring will be very difficult. However, they did manage to do it against Pep Guardiola’s treble-winning Barcelona that featured Lionel Messi, Xavi, Andres Iniesta, Alexis Sanchez, Cesc Fabregas and Pedro (undoubtedly stronger than PSG). PSG lost 1-0 to Real Madrid at the Santiago Bernabeu in Group A and Chelsea will fancy their chances of doing the same. The Blues are undefeated in their last seven home matches in the competition. In Group G, they won all three of their games at Stamford Bridge, beating Maccabi Tel Aviv, Dynamo Kyiv and Porto having scored eight goals, while conceding just once. Hiddink’s side are unbeaten against PSG in three meetings at Stamford Bridge with a 2-0 victory coming two years ago. Chelsea are revitalised under Hiddink with striker Diego Costa regaining his scoring touch, while Fabregas, Willian and Pedro have all performed well for the 69-year-old. Uruguay striker Edinson Cavani came off the substitute’s bench to give his side a slender lead in the first leg. For the first 20 minutes, PSG came out the blocks with confidence, assertiveness and control. They pushed Chelsea back, and passes were pinging around with accuracy and quickness. For anyone who has watched their performances in Ligue 1 this campaign, that was Blanc’s side at their very best. However, Chelsea began to find their rhythm and pushed the French champions all the way. Despite all PSG’s possession and control of the game, Hiddink’s side certainly had their chances. Costa’s header aside, in the second half, the Blues could have scored one or two more on the counter. Blanc was disappointed to concede in Paris, but said his side would strive to score at least once at Stamford Bridge. The Parisians will face a stern test at Stamford Bridge on Wednesday especially as Chelsea are unbeaten there under Hiddink. The French champions have never won at Stamford Bridge and Laurent Blanc will need his players to be at their best. PSG’s 36-match unbeaten run in Ligue 1 came to an abrupt end last weekend after they lost 2-1 at the hands of Lyon. That was their first league loss since a 3-2 defeat at Bordeaux in March 2015, although they remain 23 points clear of Monaco at the top of the table. With the league already wrapped up, Blanc’s side will be looking to overcome Chelsea in their bid to win the Champions League. Since the takeover in 2011, there have been three quarter-final Champions League exits, twice to continental nemesis Barcelona and once to Chelsea. If they can beat one-time winners Chelsea at Stamford Bridge then they could go all the way. The main reason this season could prove their most successful to strike is, however, the form of leading man and arguably the Parisian’s best modern-era buy: Zlatan Ibrahimovic. Easily the most talented player in France, this Swedish superstar striker, now 34, has never failed to net 30 goals or over across all competitions for PSG in any season. Now seemingly in his final stint with the club, and potentially set to leave in summer as a free agent, Ibrahimovic will no doubt be more motivated than ever to end by handing PSG the one title that both player and club are yet to collect. Ibrahimovic, Angel Di Maria, Thiago Silva, Marquinhos, Edinson Cavani and Marco Verratti are names on the roster any team would envy, and it would be tough to find a stronger spine across Europe. Chelsea remain unbeaten at Stamford Bridge under Hiddink and their away goal gives them every chance of advancing to the quarter-finals. The Blues look back to their best and the return of John Terry in defence is a huge boost. PSG suffered a 2-1 defeat away to Lyon last weekend and could struggle in England. Chelsea are tipped to win the clash at 16/10.